Have you ever wondered how your life would like on screen, if some random person decided to take all the important moments in your life and put it into a film? That is what Boyhood is, literally. 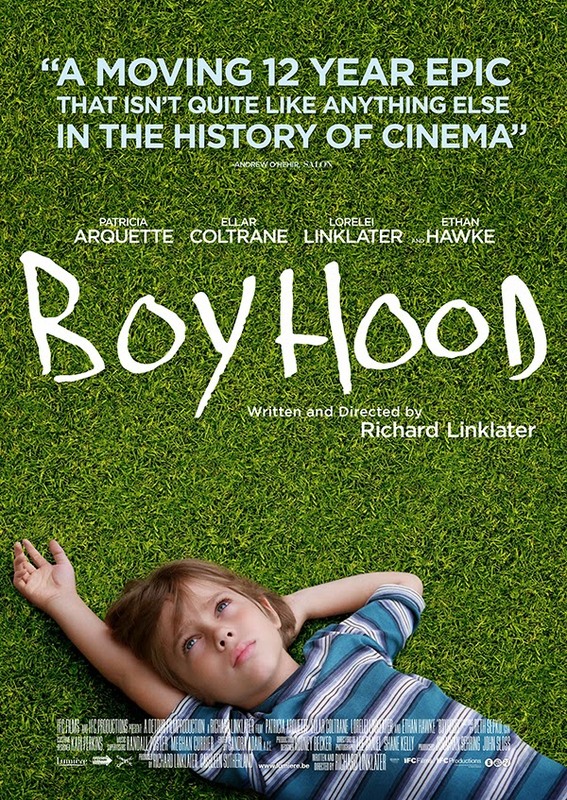 Holding perhaps one of the highest rating so far in both IMDB, Metacritic and Rotten Tomatoes, Boyhood tells of a coming of age story of this one boy called Mason, where unlike any other movies that came before, the film literally follows the same cast as they grow up. 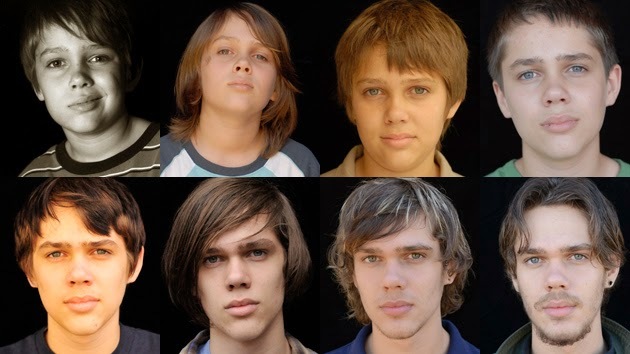 Spanning a period of 12 years, yes you heard 12 years right, Boyhood is a movie aimed at capturing the journey of growing up, and all the ups and downs that come with it. The scale itself is crazy, as you could see the cast growing up before your eyes. A friend caught me to watch this movie, and though initially I wasn't quite sure what to expect from the movie, it turned out to be quite a pleasant surprise indeed. To be honest first, Boyhood isn't like any Hollywood movie out there. It does not employ the conventional method of storytelling, where there is a introduction, a buildup, a climax, a twist and ultimately an ending. No, the story of Boyhood is rather monotonous, a straight line with occasional small little waves here and there, but with no big twist or epic drama. Everything on screen feels normal, I guess you could say that. But somehow it's the normality itself that makes the movie shine so much. I felt that the story of the movie is usually what friends would tell you, rather than a story written for the big screen. It made me reflect on my own journey growing up, and it tells of how each our life is linked with one another, and how a little action today would shape our life tomorrow. The movie is peppered with the things that defined our generation. As you watch Mason grow up before your eyes, you could see the things around him changing as well. From the flip phones that we used last time to the smartphones we have today, as well as a gameboy to Xbox, and the transition from Bush to Obama. The film managed to capture all the little things during the journey perfectly. There are a lot of themes raised in the movie. Which I guess is normal, when the movie is about life itself. Marriage, divorce, family, school, friends, love, life's purpose and the responsibilities of becoming an adult are among the many things touched upon in the movie, as you see Mason struggle with the questions that life throw upon him as he enter each stage of life. And as you see him grapple with the various issues that the movie brought up, you would somehow think back to your life too, and wonder how have you responded when life gave you similar trials. I certainly thought a lot as I watched the movie. I realized how lucky I have been to have grown up with an intact family, despite all the small hiccups here and there, and I thought back to all of the people who have once used to be in my life, made an impact, and left. And somehow I was grateful to each and everyone of them, for having taught me important lessons during the short period where our lives overlapped. Boyhood would not have all the explosions, action, romance and over-exaggerated drama or effects. It gives you the vibe of being a documentary and it's rather down to earth. 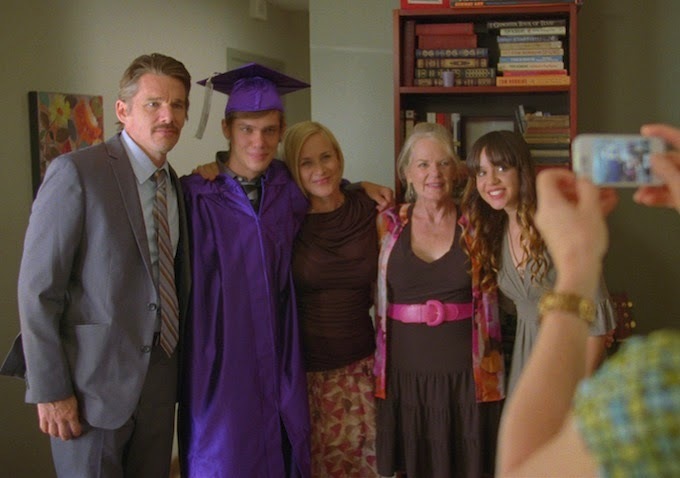 There are periods where you would feel like falling asleep, if you're not a fan of artsy slow moving films, but there are definitely many lighthearted moments as you see Mason interacts with his family, and achieve each milestone in life. It often felt like as if my own life was reflected in his. But of course, a downside of the Boyhood film is its culture focus. As a movie set in Texas, many of the struggles, values and settings are American based, so there are certain things that I find it hard to relate to. The Bush and Obama elections race for example, high school parties at empty houses when your parents are not here, as well as the school system and suburbs living. Those were the things that I find it harder to be able to understand.